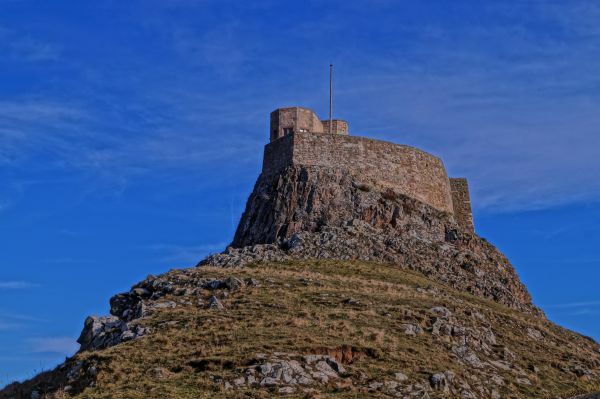 For the first time in four years, visitors to Lindisfarne Castle this week will be able to experience the castle in all its glory. The scaffolding has gone, the plasterers have finished and the windows are all back in place. The most comprehensive and extensive conservation project in its history has been completed and the castle is now in a much better place to face its future. Nick Lewis, House Steward, Lindisfarne Castle. Re-opening on Wednesday 13 February at 11am, inside the castle, all the rooms will be available to explore. There will be a brand new exhibition entitled ‘Past, Present, Future’ which brings together a small selection of previously unseen artefacts from other collections that all have a connection to the castle. The story of Lindisfarne’s past, present and future is being brought to life using a selection of media, told from the perspective of its residents and visitors over the centuries and includes locals’ first-hand memories (a trail for children will run in parallel through each of the rooms, allowing them to explore and discover for themselves). Admission prices: National Trust Members: Free, Adult: £9.00, Child £4.50.